The monthly data releases this week showed that consumer, producer, and commodity inflation were all abating. All three were now running within .1% of 2.7% YoY. Commodity prices, which had rising at as high a rate as 11% YoY last July, were declining fastest. The first consumer confidence reading for April came in a little light. This week the high frequency weekly indicators strongly contradicted one another. Let's start with the biggest negatives. Rail traffic remained negative, and this week there was no good rationalization. The American Association of Railroads reported a 4% decline in traffic YoY, or -20,200 cars. This week could not be blamed on coal, as even without coal, overall traffic edged up by a mere 800 cars, or +0.2% YoY. Intermodal traffic was up 2500 carloads, or +1.1%, but other carloads decreased -22,600, or -7.7% YoY. Railfax's graph of YoY traffic remained positive but deteriorated further this week. 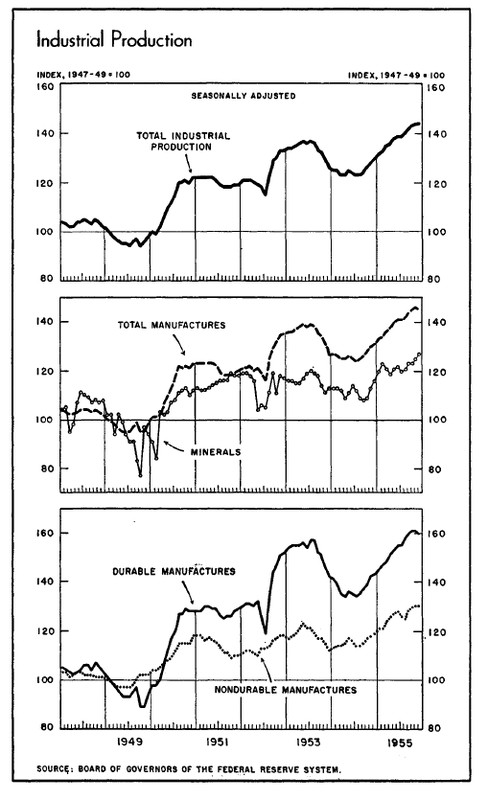 Oddly, Railfax's data shows that all of the decline is in "baseline" materials; rail hauling of cyclically sensitive materials remains in strong improvement. The Department of Labor reported that Initial jobless claims surged 23,000 to 380,000 last week, the highest report since January, mirroring the big increase in the first week of April one year ago. 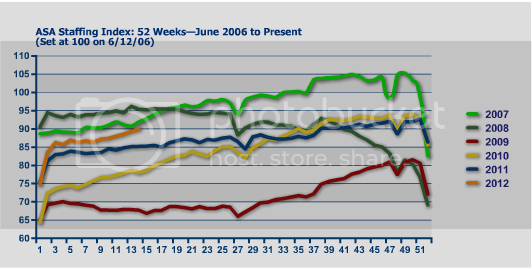 The four week average also rose by 6750 to 368,500. The Daily Treasury Statement showed that for the first 9 days of April, $65.0 B was collected vs. $65.5 B a year ago, an absolute decline. In the last 20 reporting days, however (a more valid measure), $141.7 B was collected vs. $121.9 B a year ago, an increase of $19.8 B, or +16.2%! The American Staffing Association Index rose again by one to 90. 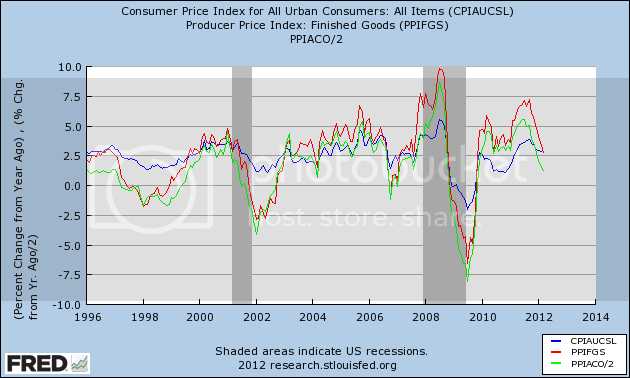 It is now rising quickly, and is very close to its pre-recession readings of 2007. Should it continue at this pace, it will reach an all time high by June sometime. The Mortgage Bankers' Association reported that the seasonally adjusted Purchase Index decreased -0.5% from the prior week, but was up a strong +5.5% YoY. The Refinance Index decreased another -3.8% from the previous week. Because the MBA's index was substituted for the Federal Reserve Bank's weekly H8 report of real estate loans in ECRI's WLI, I've begun comparing the two. This week for the second week in a row, and for the first time in four years real estate loans held at commercial banks were up, +0.2% on a YoY basis. On a seasonally adjusted basis, these bottomed in December and are now up +1.3% . YoY weekly median asking house prices from 54 metropolitan areas at Housing Tracker were up +3.8% from a year ago. This number peaked at over +4% in February, but has now remained positive for 4 1/2 months. Via Calculated Risk, we are told that the NAR is likely to report a 3% YoY increase in median home sale prices for March. We should know by sometime this summer whether the Case-Shiller index follows the upward turn in the other indexes. Sales were once again surprisingly positive. The ICSC reported that same store sales for the week ending April 7 rose +0.9% w/w, and also rose +4.5% YoY. Johnson Redbook reported a 4.1% YoY gain. Shoppertrak reported a whopping 20.7% YoY gain having everything to do with the timing of Easter. The 14 day average of Gallup daily consumer spending remained high at $76, $10 above the equivalent period last year. M1 rose +1.1% last week, and was also up +0.8% month over month. On a YoY basis it declined slightly to +17.5%, so Real M1 is up 15.1%. YoY. M2 was up +2.2% for the week, and also up +0.5% month over month. Its YoY advance fell slightly to +9.8%, so Real M2 was up 7.2%. Real money supply indicators continue slightly less strongly positive on a YoY basis, although not so much as in previous months. It has resumed rising slightly on a month over month basis. Weekly BAA commercial bond rates rose +.04% t0 5.29%. Yields on 10 year treasury bonds fell +.06% to 2.21%. The credit spread between the two, which had a 52 week maximum difference of 3.34% in October, rose slightly again to 3.07%. There has been a very slight weakening in this measure in the last two weeks. Gasoline prices were flat at $3.94, the first week in months that there was not any increase. Oil was down slightly at $102.83. Both of these remain above the point where they can be expected to exert a constricting influence on the economy. Gasoline usage, at 8681 M gallons vs. 9181 M a year ago, was off -5.4%. The 4 week moving average is off -4.0%. These are among the best comparisons in months. The TED spread fell .02 to 0.380. This index remians slightly below its 2010 peak, generally steady for the last 7 weeks, and has declined from its 3 year peak of 3 months ago. The one month LIBOR declined .001 to 0.240. It is well below its 12 month peak set 3 months ago, remains below its 2010 peak, and has returned to its typical background reading of the last 3 years. The Baltic Dry Index at 972 was up 44 from 928 one week ago, and up 302 from its 52 week low, although still well off its October 52 week high of 2173. The Harpex Shipping Index was flat at 395 in the last week. Finally, the JoC ECRI industrial commodities index fell from 124.26 to 123.74. It has resumed its fade, at a pace about equal to April one year ago. This indicator appears to have more value as a measure of the global economy than the US economy. This week we got some strongly contradictory signals from our high frequency indicators. 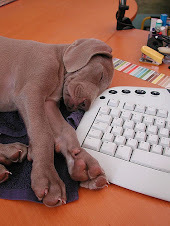 Rail traffic, initial claims, industrial commodity prices and credit spreads all showed weakness. Three of these happen to be components of ECRI's WLI, so it is no surprise that it fell last week, although its 6 month growth metric continued to be more positive. On the other hand, withholding taxes, temporary staffing, sales, housing, and money supply are all positive, some strongly so. Several of these are also leading indicators. My best guess is that we are replaying last year, where seasonal increases in gasoline prices in the first part of the year cause the Oil choke collar to tighten, and weaknesses to appear in a number of indexes. 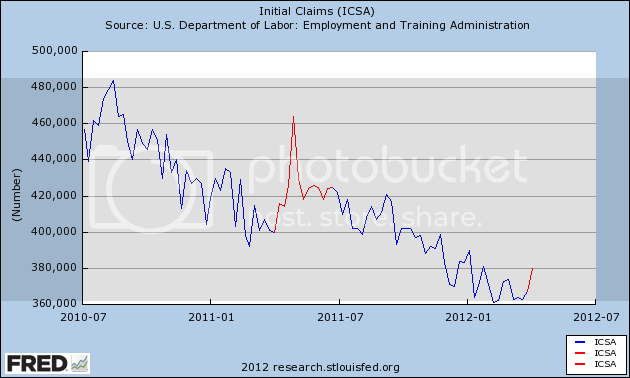 I suspect this weakness will last until about midyear, and lead to the same double-dippism we heard in 2010 and 2011. This year might even be slightly worse. The weakness will cause the Oil choke collar to loosen, and the economy will become "surprisingly strong" as we head towards the end of the year. 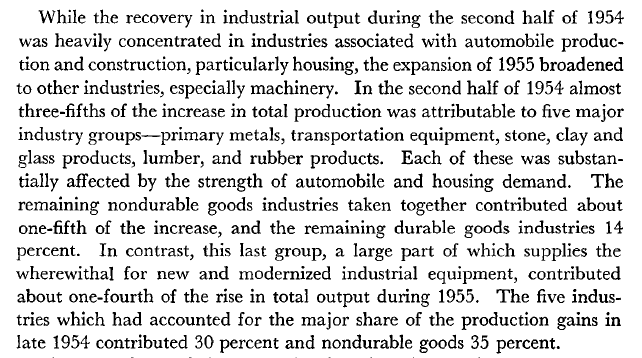 Remember that in the 1950s, the economy was operating at a very high capacity. In addition, the economy as far less automated. As a result, we see a very low unemployment rate -- dropping from 4.9% at the beginning of the year to 4.2% by year's end. All three sectors of the economy -- manufacturing, service and government employment -- saw increases. The manufacturing sector was growing because of the mammoth increase in consumer demand -- hence the increase of nearly 1 million jobs. 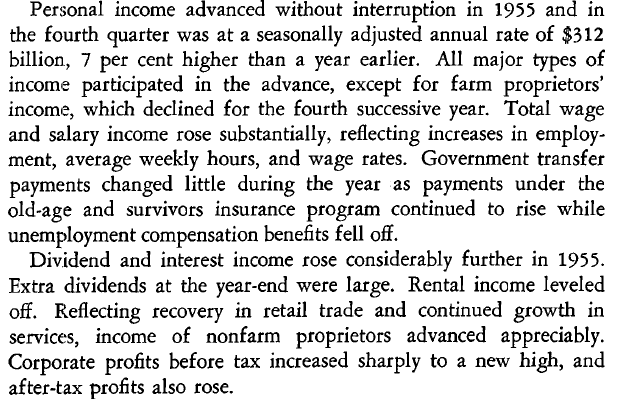 As households were formed -- and as incomes increased -- the demand for services naturally increased as well. 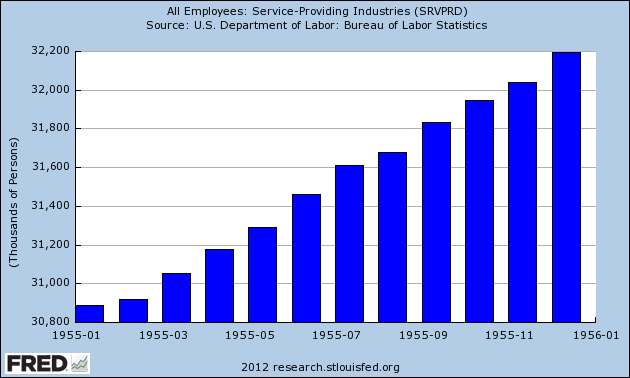 This explains the increase of over 1 million service jobs over the year. And finally, the decrease in government employment at the beginning of the year was the result of the end of the Korean War. 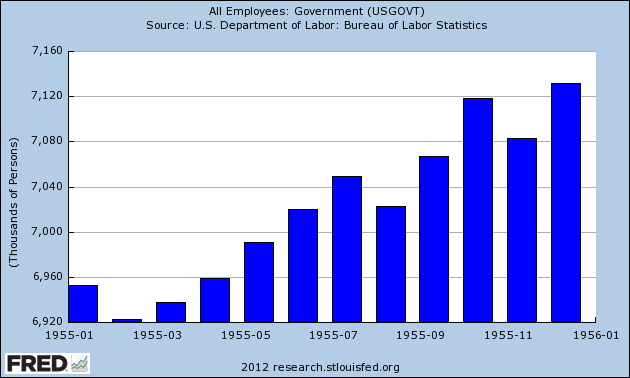 However, by year end, the increased demand for government services (education, public works etc..) led to an increase in government employment. 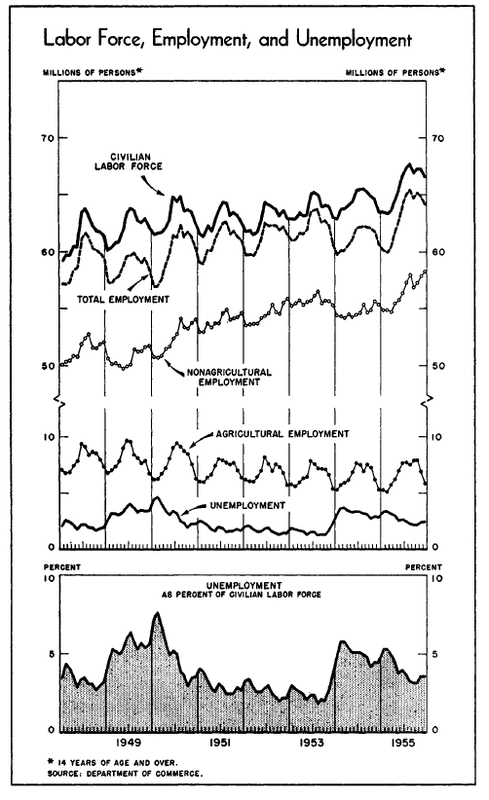 The above chart from the Economic Report to the President, shows a nice slice of population, employment and unemployment. 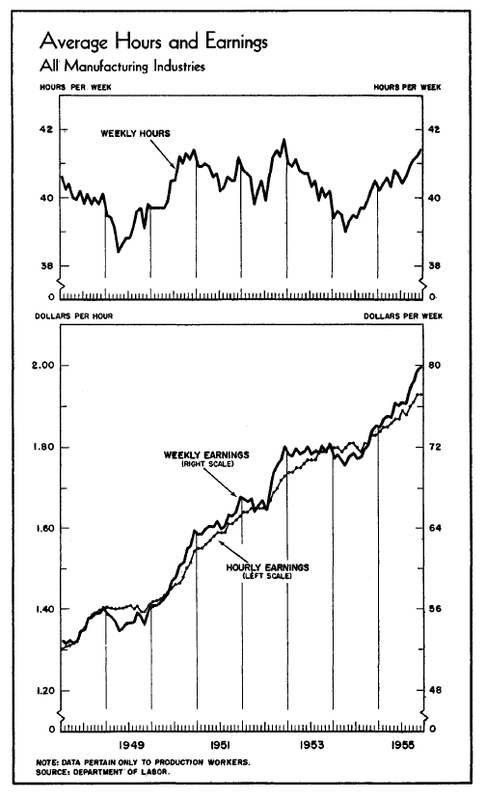 The chart below (from the ERP) graphically depicts hours worked and wages. The SPYs sold off to the 136 level -- a total drop of only 4.4% from the 142 area. 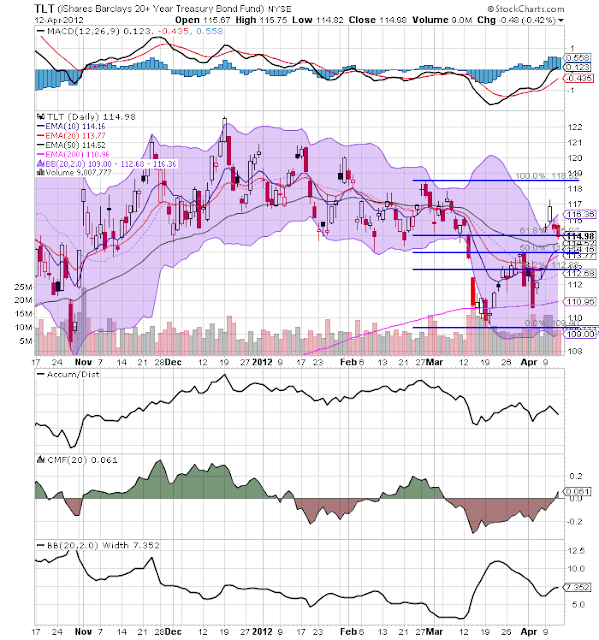 Prices gapped higher yesterday, fluctuating around the 137 level, but rallied today from the 137 to the 139 level. The daily chart shows that prices hit resistance at the 10 and 20 day EMAs. 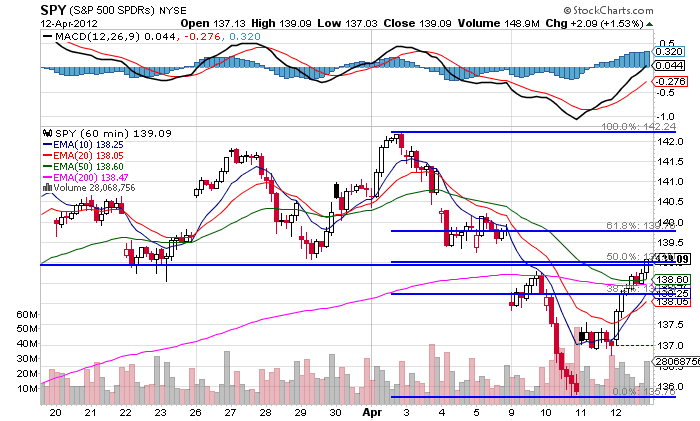 Assuming the move through that level, we see resistance in the 141 and 142 areas. 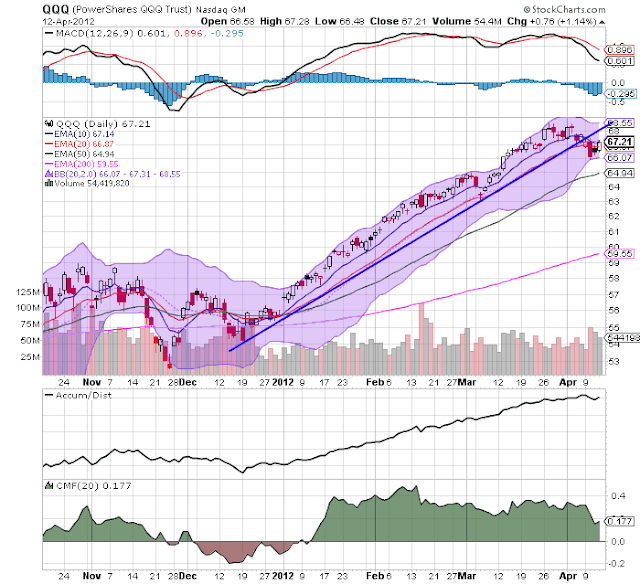 The QQQs are in the same technical position. However, it's fairly standard to see prices hit previous trend lines and stall. That means the mid-December - early April trend line a very important technical event. The entire treasury curve has rallied: the IEIs have moved from 120 to 121.8 (+1.5%); the IEFs from 101.5- 104.5 (3%) and the TLTs from 110-115 (4.5%). So -- we have a weak equity market that, so far, is rallying technically; that is, traders are looking at the charts and saying, "we're over-sold; let's buy some cheap equities. : The treasury market is catching a safety bid. The Italian market has moved from a high of 14 to 12.07 -- a drop of 14%. The Spanish market has dropped from a high of 33 (early February) to 27.16 -- a drop of 17.69%. Also note that prices are hitting resistance at lows established in late November. The Federal Reserve Released the Beige Book yesterday. 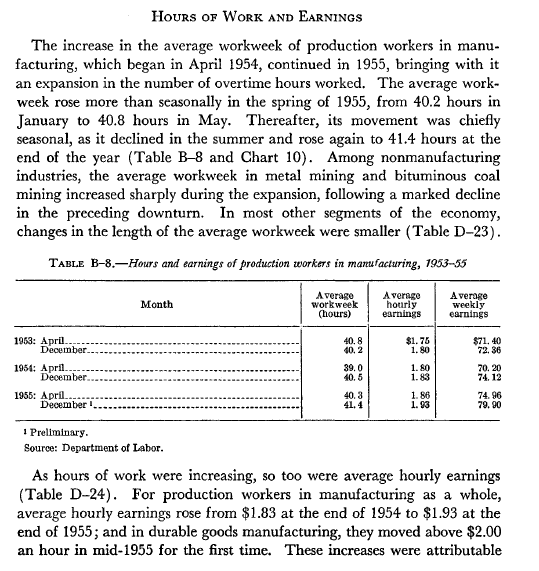 This is one of my favorite documents, as it provides a near real-time anecdotal analysis of the US economy. Below is the complete summary page. Each Fed region also has a summary. I highly recommend reading at least the passage below. 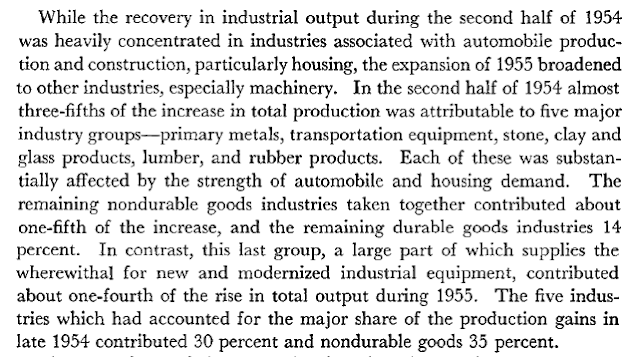 Manufacturing continued to expand in most Districts, with gains noted in automotive and high-technology industries. Manufacturers in many Districts expressed optimism about near-term growth prospects, but they are somewhat concerned about rising petroleum prices. Demand for professional business services showed modest to strong growth and freight volume was mainly higher. Reports on retail spending were positive, with the unusually warm weather being credited for boosting sales in several Districts. While the near-term outlook for household spending was encouraging, contacts in several Districts expressed concerns that rising gas prices could limit discretionary spending in the months to come. New-vehicle sales were reported as strong or strengthening across much of the United States. Tourism increased in most reporting Districts. Residential real estate showed some improvement, with many contacts citing expansion in the construction of multi-family housing. Activity in nonresidential real estate increased or held steady in most Districts. Agricultural conditions were generally favorable. Mining activity expanded and oil extraction rose, while natural gas drilling slowed. Banking conditions were largely stable, with some improvement seen in loan demand. Several Districts reported increased credit quality. 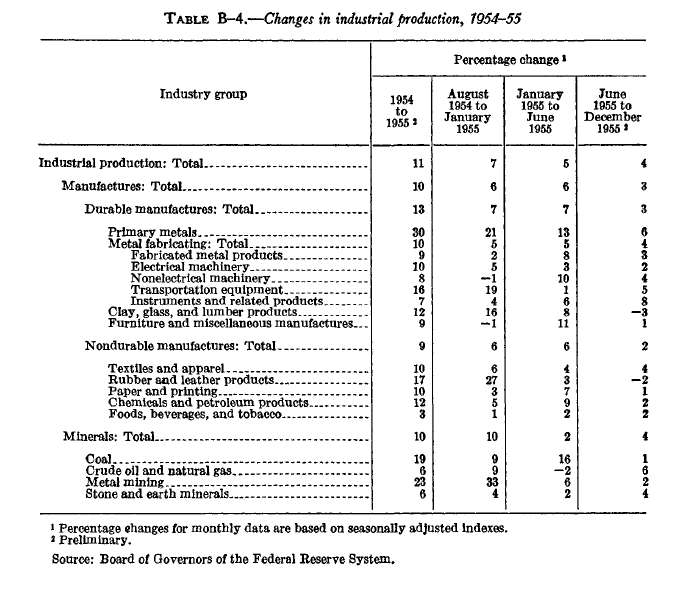 The top chart shows that overall IP was at record levels in 1955. The second chart shows that total mineral production was the first sector to hit multi-year highs. 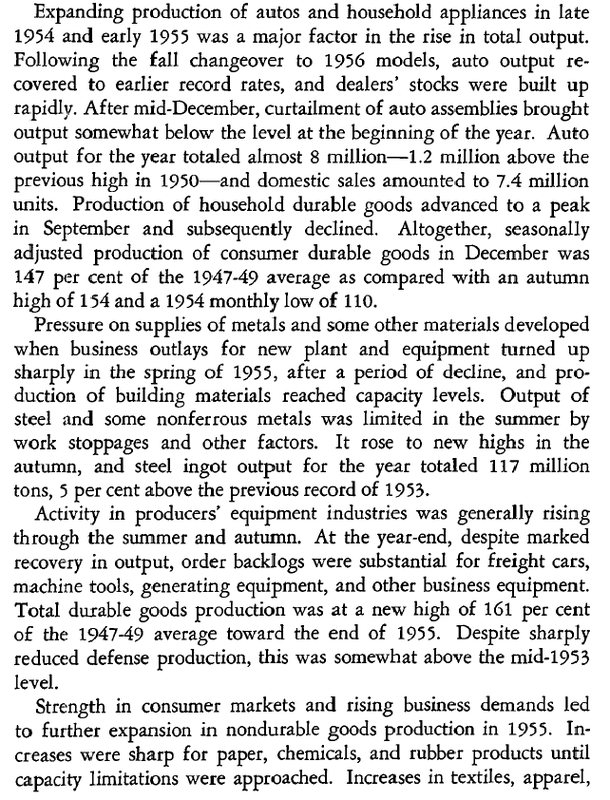 But by the end of the year, durable, non-durable and total manufacturers production had reached multi-year levels. The above table puts the charts into numerical perspective, as does the following excerpts from the Federal Reserves Annual Report and the Economic Report to the President, 1956. Last week, the head of the European Central Bank gave a press conference. I want to focus on his opening statements to paint a general picture of the EU right now. For a more complete picture of the EU area's inflation situation, see this inflation site on Eurostat. However, this shows that inflation is one side of the EU's problem. The above two charts show the other half of Draghi's problems. Last quarter, EU growth contracted (the top chart). 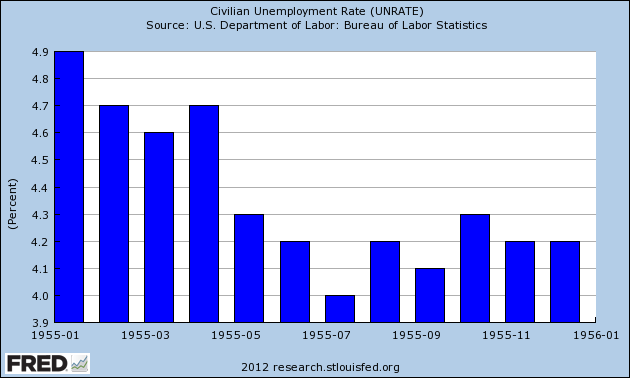 This lead to an increase in unemployment (the bottom chart). Ideally, the central bank would lower interest rates to spur lending growth as the primary way to deal with this situation. However, rates are already at 1% and inflation is a threat. Put another way, the ECB is between an economic rock and hard place from which there is no easy policy response. Or, "the only cure for high commodity prices is high commodity prices." Draghi is hoping that high energy prices will stave off demand of energy products, thereby lowering energy prices. Frankly, it's about his only option at this point. 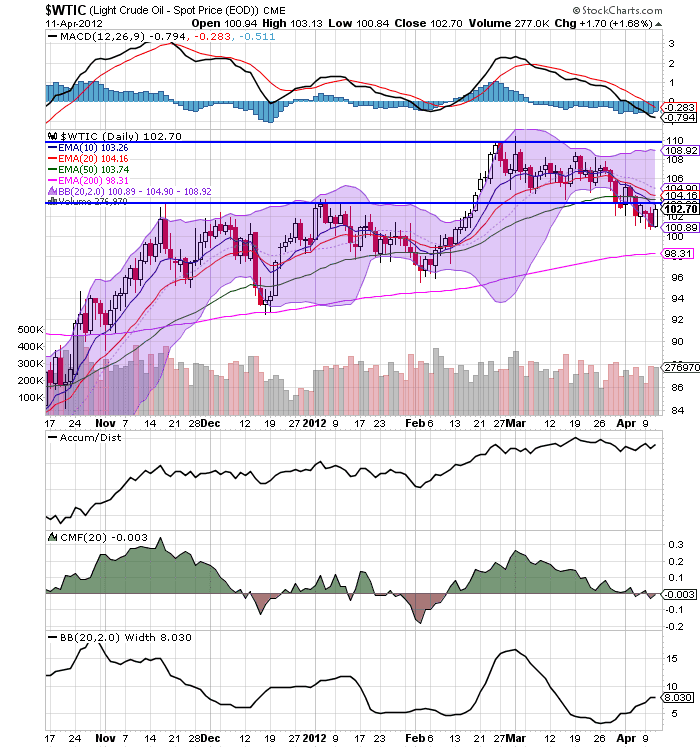 After hitting the 110 price level in late February, oil has slowed moved lower. It has moved through technical support at the 103.5 level and is now below the 50 day EMA. 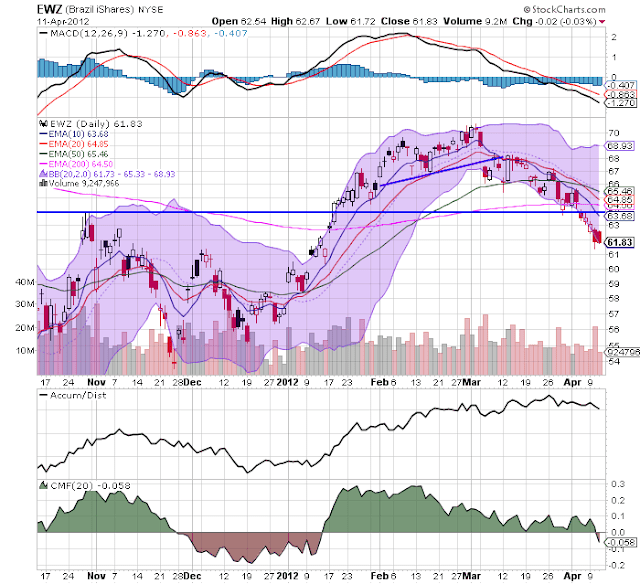 The 10 and 20 day EMA are both moving lower and the 10 day EMA has crossed below the 50. While the MACD and the CMF are both declining, we're not seeing a lot of movement on the A/D line. The sell-off has been incredibly gentle -- especially considering the market is worried about global growth. However, the slow and gradual technical deterioration -- especially as we get closer and closer to the summer driving season -- is very interesting. 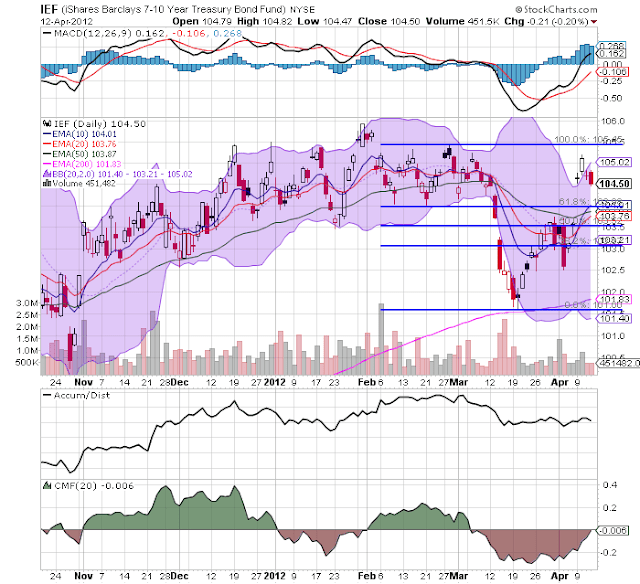 The industrial metals ETF is at the 61.8% Fib level. 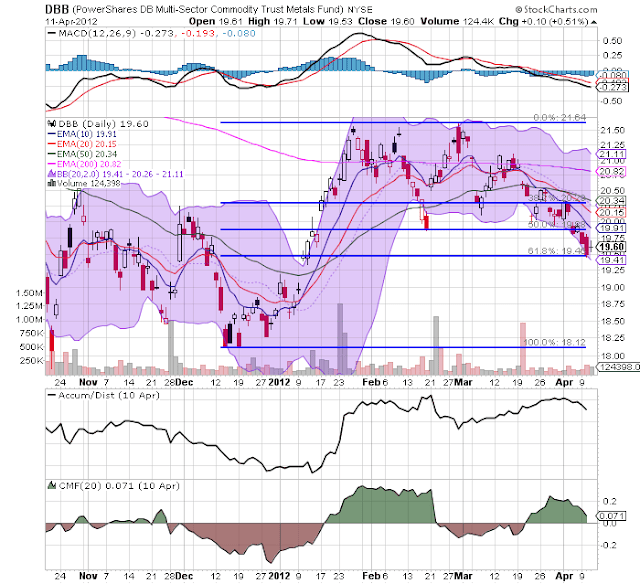 The shorter EMAs are all moving lower, and we see a bearish alignment (shorter below longer). The MACD is declining as well. The CMF is nearing 0, but the A/D is not super bearish. 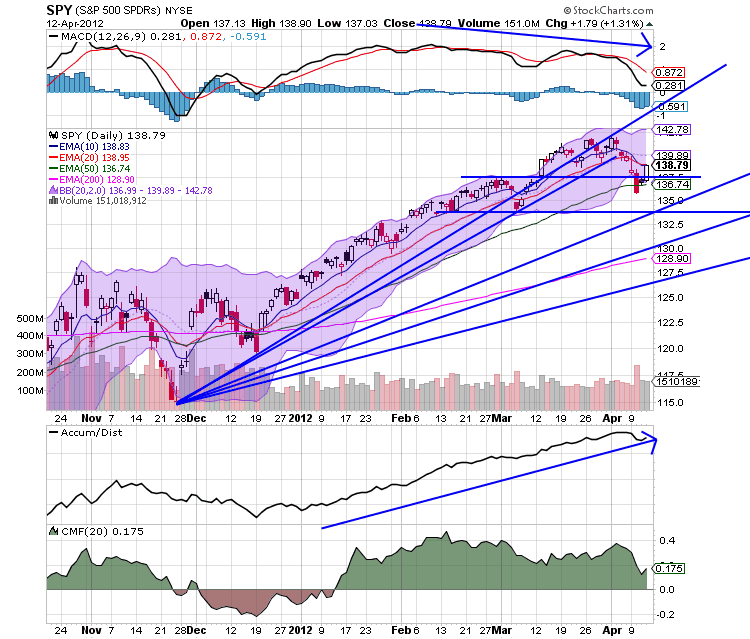 But the big issue is that prices are below the 200 day EMA -- a bear market. That does not bode well for the global economy. UPDATE: I forgot to add this to the original post. Cattle prices broke an uptrend that started in Mid-December and went to the end of March. 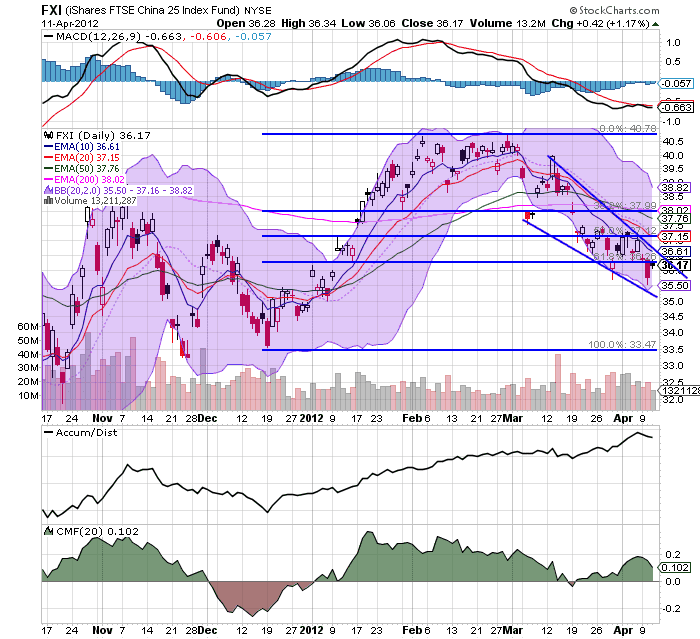 Since then, prices have continued to move lower, breaking support in the 29.75, 29.10 and 29 price level. 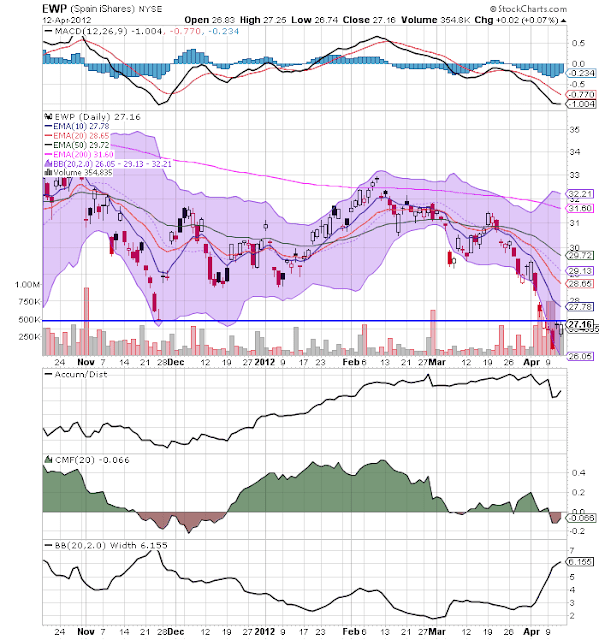 Also note the declining EMAs, MACD and volume indicators. 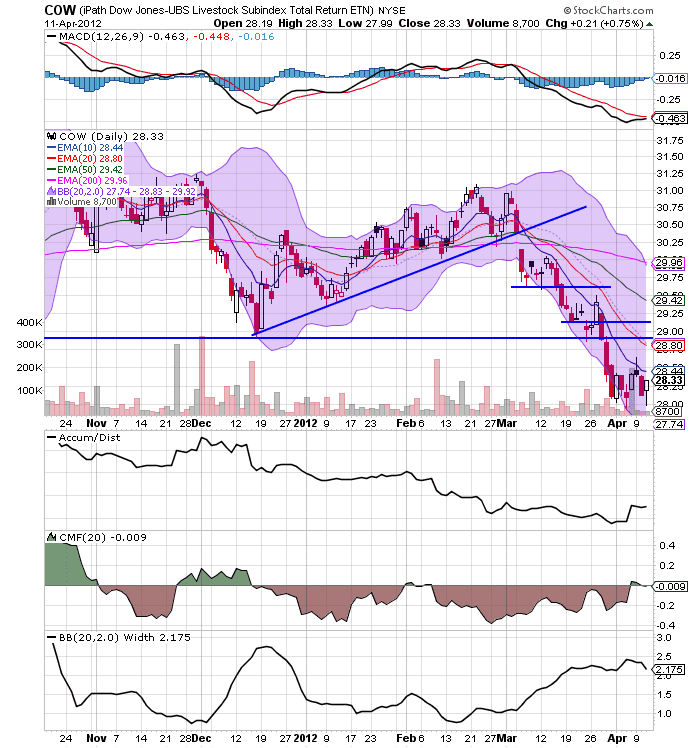 However, the MACD may be close to giving a buy signal. 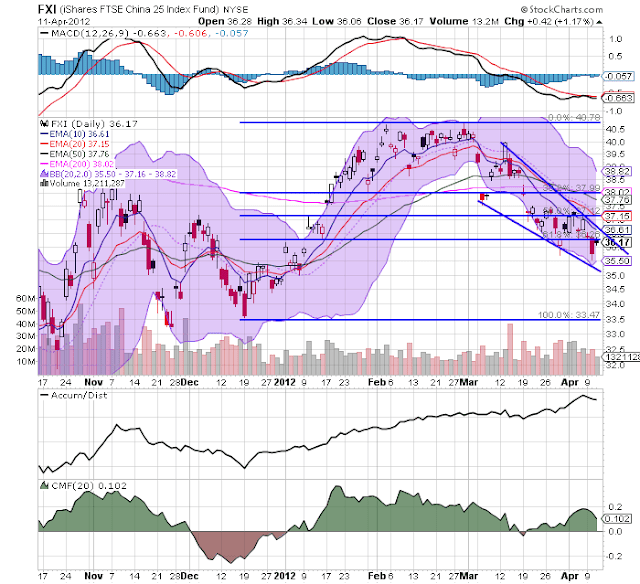 However, my guess is that would turn into a technical rebound into an EMA or Fib level. The above three commodity charts are bearish; they do not give us encouragement regarding the macro situation in the near term. 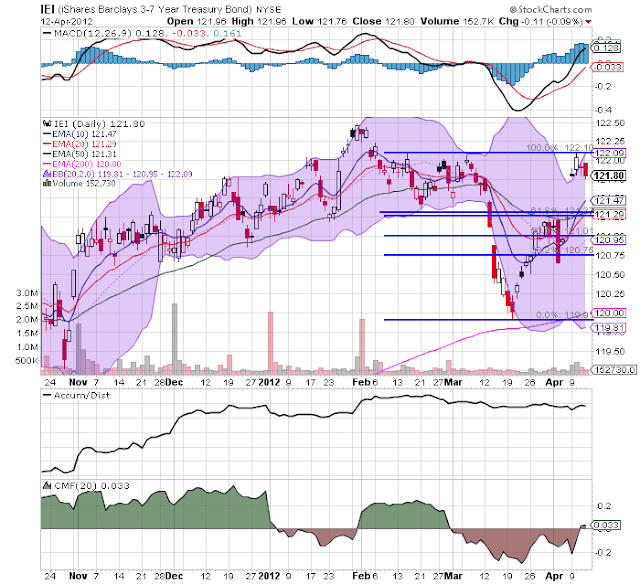 The Chinese market ETF is in a downward sloping pennant pattern, below the 200 day EMA. We also see declining shorter EMAs. 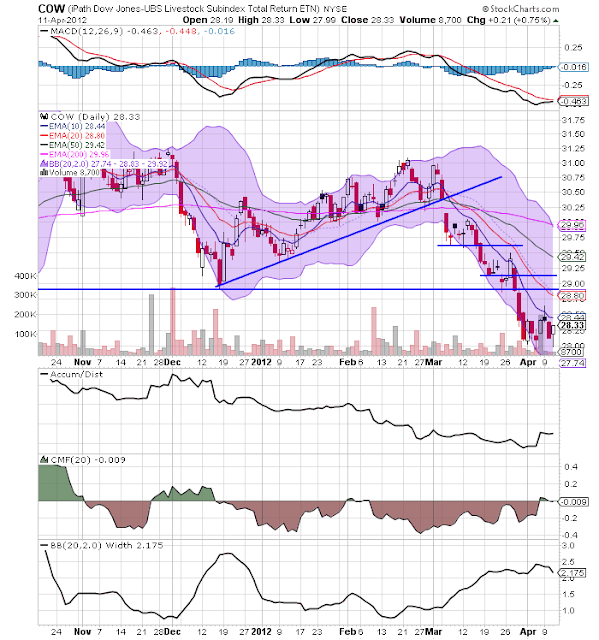 The MACD is trying to turn bullish, and the A/D line is still bullish. But, the real issue is prices are below the 200 day EMA. 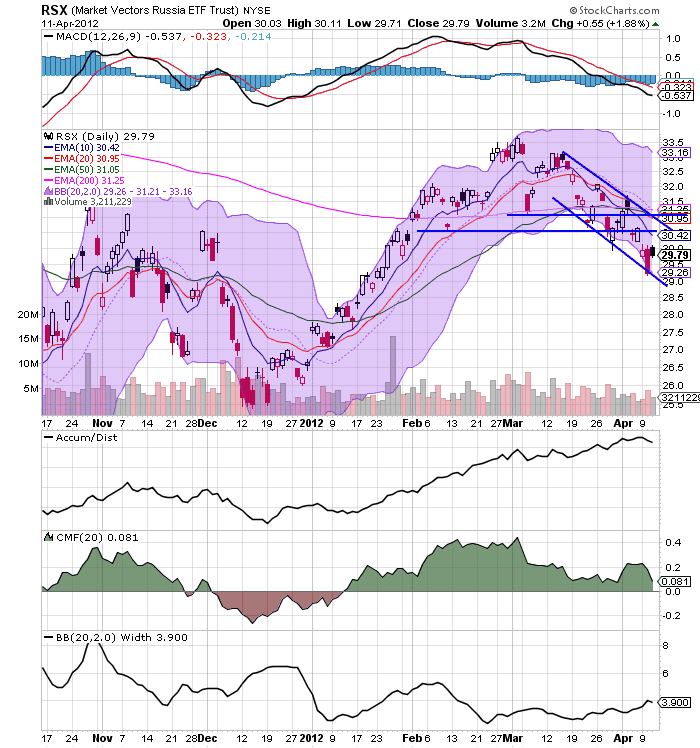 Prices have moved from the 30.5 area to 36 -- a decline of a little over 10.5%. The Russian market is in the exact same situation as the Chinese market -- a declining wedge with prices now below the 200 day EMA. Here we see a decline of about 11% -- from 33.5 to 29.79. After hitting a high of 62 in mid-February, prices in the Indian market have moved lower to 55.18 -- a decline of 11%. Prices are below the 200 day EMA, momentum is negative (although the direction is neutral), but the volume indicators are positive. The Brazil ETF has dropped from 70 to 61.83 -- a drop of nearly 12%. The shorter EMAs are moving lower and prices are below the 200 day EMA. 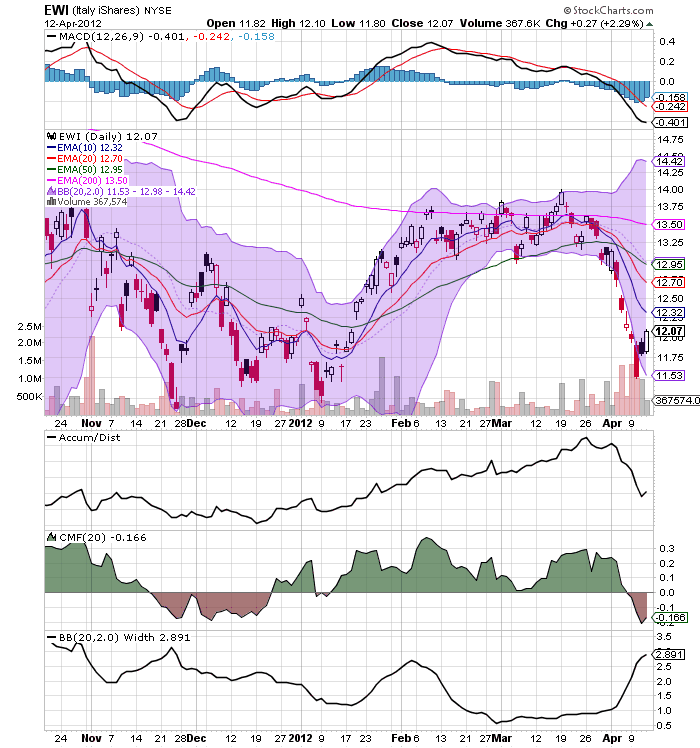 Momentum is declining as well. 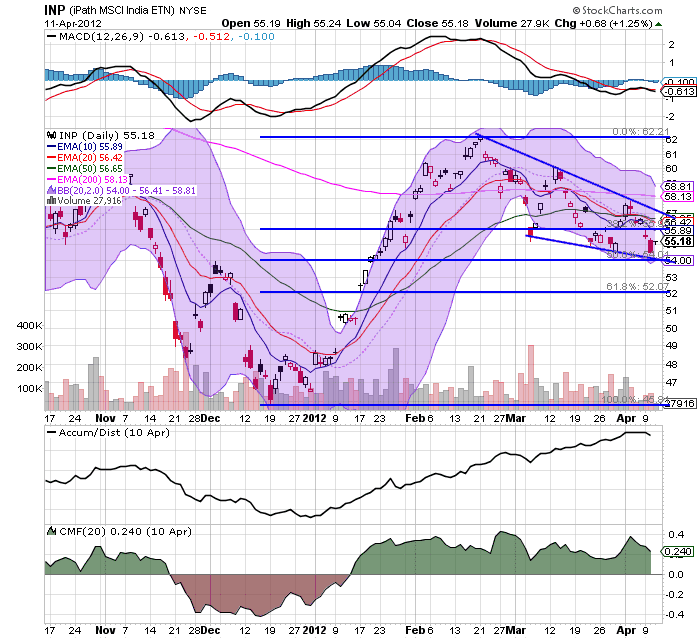 The BRIC charts are all down at least 10%. That's a big move lower and indicates all is not well with the emerging world. Italy keeps coming up as a potential EU problem child. Unfortunately, the financial press really hasn't given us any information on the topic. However, the IMF has. 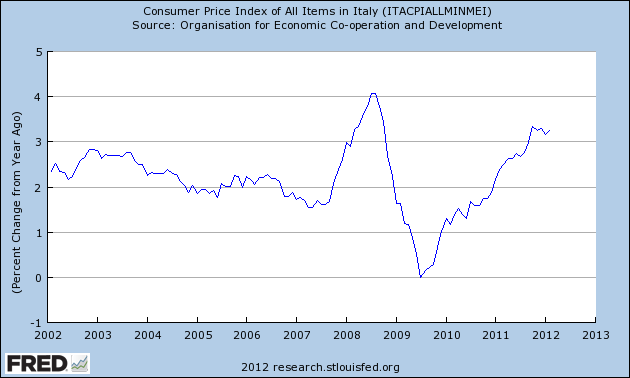 So, let's dig into the IMFs assessment of Italy, with some help from OECD and IMF statistics services. 1. The global economic crisis has hit a structurally weak Italian economy. Italy’s growth rate had already been slowing for over a decade, reflecting weakening productivity. Economic rigidities, along with Italy’s specialization in products with relatively low value added, have also been contributing to a steady erosion of competitiveness. Consequently, Italy has been losing its market share of world trade. 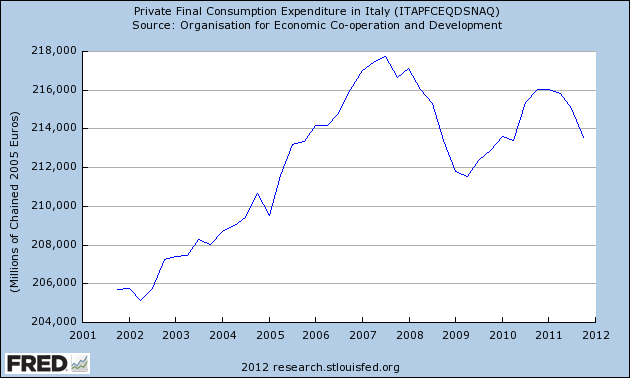 These two data points illustrate the central problem faced by Italy: they don't have something that everybody wants. 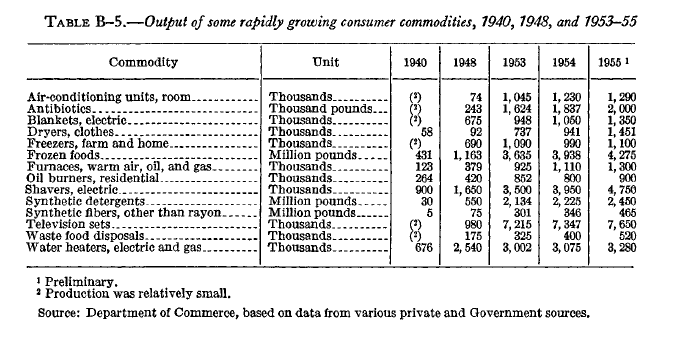 Compare these facts to, for example, Chile, which has copper or Saudi Arabia, which has oil. Both of these countries can export a raw material. In comparison, Italy doesn't have this advantage. And, they aren't developing any goods/services that distinguish themselves from their competitors. The above chart shows that aside from 4% growth at the beginning of the decade and slight move into the 3% range in 2007, Italy has been showing a very slow rate of growth for slightly over a decade. 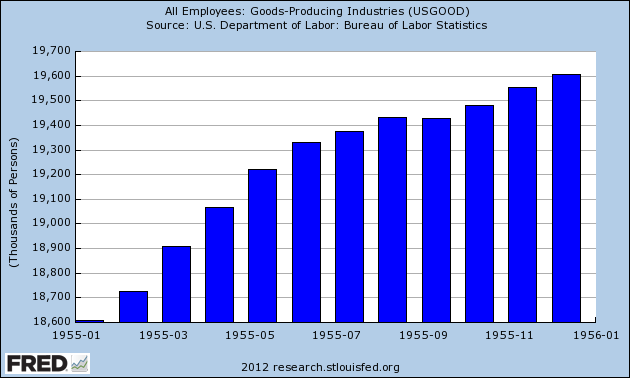 This tells us that there is some type of fundamental problem with the economy. Italian IP remained at the same level for 5 years, from 2001-2005. It then rose to the 105 level for 2006-2008. 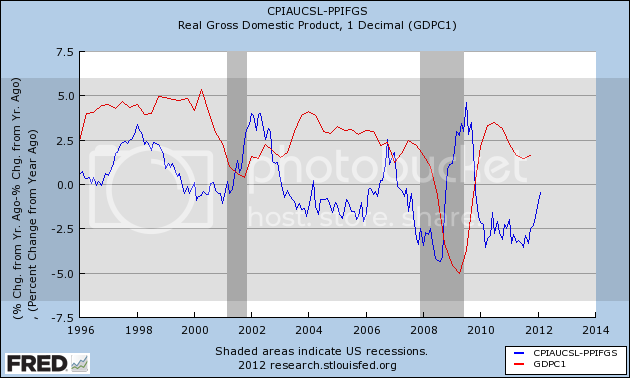 However, notice we see a huge drop in IP as a result of the recession with a slight rebound. However, the overall level of IP has remained constant since mid-2010 -- not a good development. Overall investment is also weak. 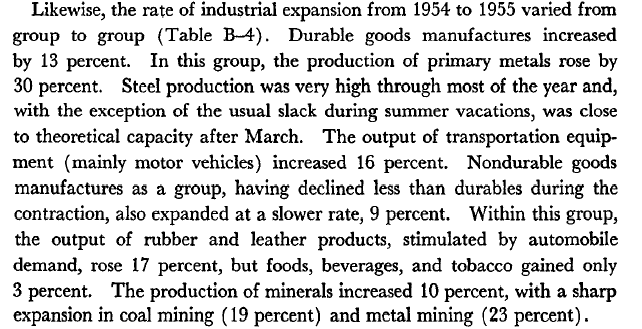 Here, we see the impact of weak industrial production. Weak IP, means capacity utilization is weak, leading to low investment. 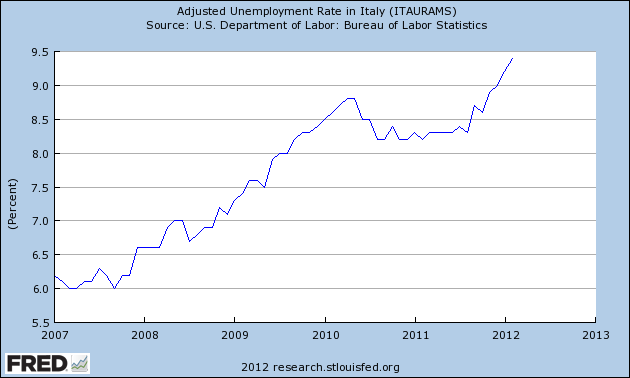 Italian unemployment has been increasing since roughly the middle of 2011. 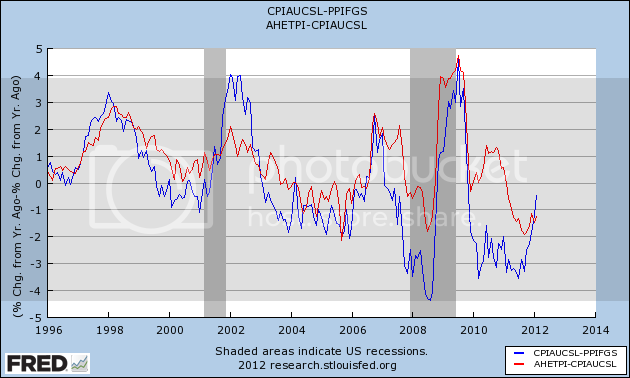 Real private PCEs are also in a negative spot. 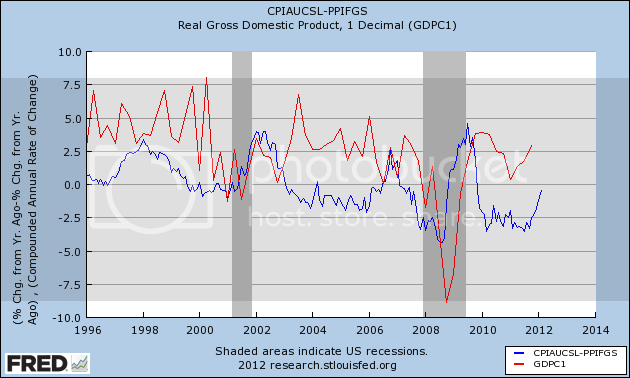 After the recession, PCEs dropped, as would be expected. However, starting at the beginning of 2009, we see PCEs start to increase. However, in roughly mid-2011, PCEs drop. 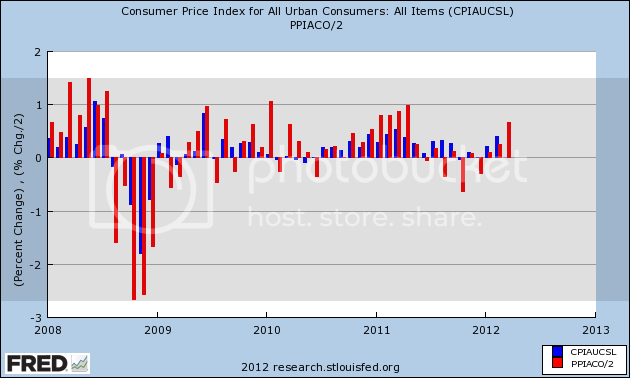 CPI has been rising on a YOY basis since mid-2009. Finally, the balance of trade is getting worse. 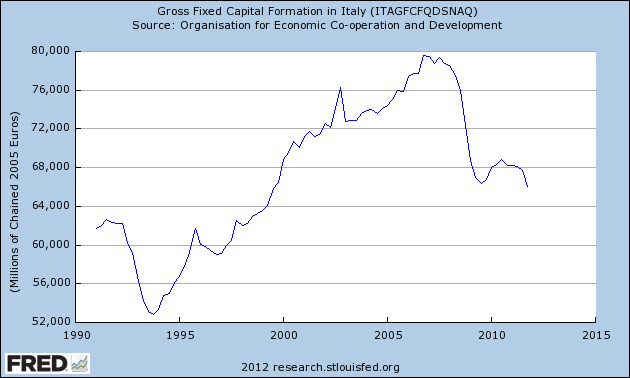 To sum up the above information we get the following picture: Italy has experienced weak growth for the last 10 years. They have not developed or created exports wanted by other trading partners, meaning the contraction of 2007-2009 was a very negative event for the economy. The trade deficit has been increasing for the last ten years. Italian consumers are not spending, lowering growth. Overall investment is very weak. Basically, Italy didn't do anything or not do anything. Their growth dropped which lowered total GDP which led to an increase in the debt/GDP ratio. 2. 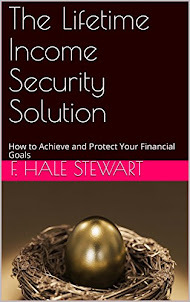 The global crisis affected the economy mainly through the trade, credit, and confidence channels. The recession in Italy’s main trading partners led to a sharp fall in exports. Although there was no fallout from the banking system, financing conditions tightened and credit growth fell. Despite strong household balance sheets, private consumption declined significantly, mainly reflecting higher uncertainty. Fixed investment and inventories also fell sharply, owing to weak demand prospects. The decision not to engage in a large fiscal stimulus (which was appropriate in view of the high level of public debt) meant that these effects on aggregate demand translated into one of the deepest output falls among large industrialized countries. However, unemployment rose only modestly, in large part thanks to the extension of the existing wage supplementation scheme (Cassa Integrazione Guadagni), and lower participation. 3. A modest and fragile recovery based on external demand, restocking of inventories, and some government support is now under way. 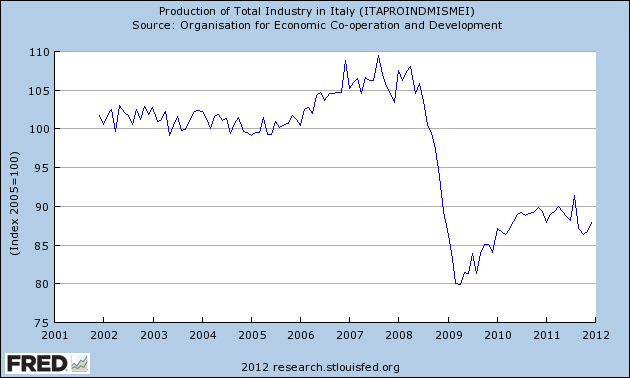 As elsewhere in the industrial world, potential output in Italy may have been adversely affected by the crisis. The slow recovery of Italy’s major trading partners and the significant competitiveness gap will limit export growth; the rise in non-performing loans and the need to shore up banks’ capital will constrain credit supply; rising unemployment will undermine private consumption; and investment will be limited due to financing constraints, low capacity utilization, and falling profitability. 4. Although the worst effects of the crisis have mostly passed, key vulnerabilities remain. The high private savings rate, low private indebtedness, and the resilience of the financial sector, are important elements of strength. However, the high level of public debt and the disappointing growth performance could make Italy vulnerable to external shocks. Debt management has been conducted prudently, by lengthening the maturity of public debt and building buffers. These efforts should help strengthen the government’s financial position. But they cannot be a substitute for a sustained fiscal consolidation. Italy just doesn't have any good policy answers right now. Why Do We Have Slow Loan Growth?